Looking for some ideas on what to do with your surplus of turkey and gobs of gravy? Check out these 10 recipes for Thanksgiving leftovers. The turkey was gobbled, the stuffing was devoured and the dishes are finally done. One way to use up leftover turkey — and any loose carrots and celery in the crisper drawer — is to cover it in a blanket of buttery pastry. 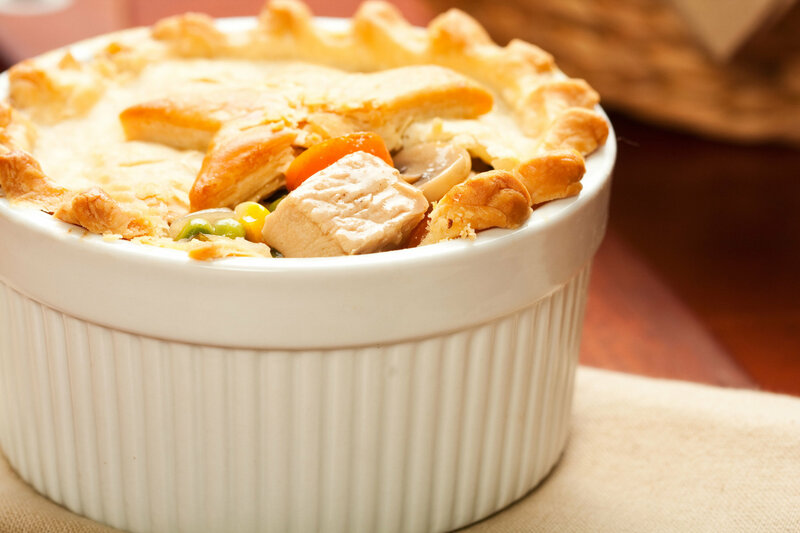 Find the recipe for turkey potpie on Food Network.